Disclaimer: *Name trademarks and copyrights are properties of their respective manufactures and/or designers. 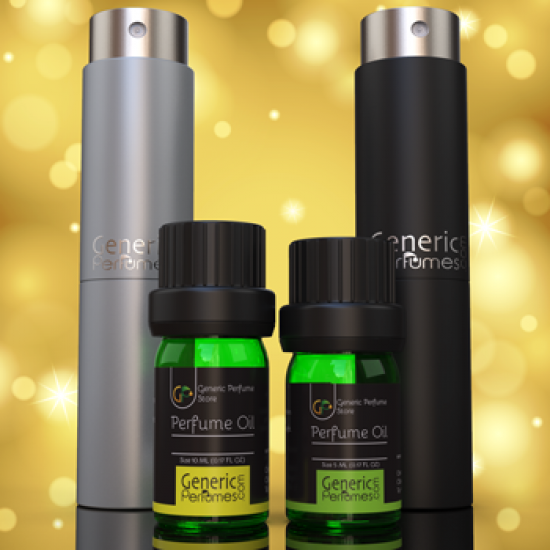 GenericPerfumes.com has no affiliation with the manufactures/designer. Our interpretation of these fragrances was created through chemical analysis and reproduction. The purpose of this description is to give the customer an idea of scent character, not to mislead or confuse the customer or infringe on the manufactures/designer's name and valuable trademark. We do not represent our products to be original nor do we represent that they are exact copies; therefore they do not violate any copy right laws. Any references to brand names are made strictly for comparison purposes only. Our Impression of Black Opium Nuit Blanche by Yves Saint Laurent..
Our Impression of Blue Sapphire by Boadicea the Victorious..
Our Impression of Angelic by Boadicea the Victorious..
Our Impression of Sa Majeste la Rose by Serge Lutens..
Our Impression of L’Eau by Serge Lutens..
Our Impression of Opulent Classic No 33 by Shaik..
Our Impression of Chic Shaik No 70 by Shaik..
Our Impression of Opulent Classic No 77 by Shaik..
Our Impression of Sisley Eau de 1 by Sisley..
Our Impression of Sterling by Boadicea the Victorious..
Our Impression of Empire by Boadicea the Victorious..
Our Impression of Hanuman by Boadicea the Victorious..
Our Impression of Rose Sapphire by Boadicea the Victorious..
Our Impression of Imperial by Boadicea the Victorious..